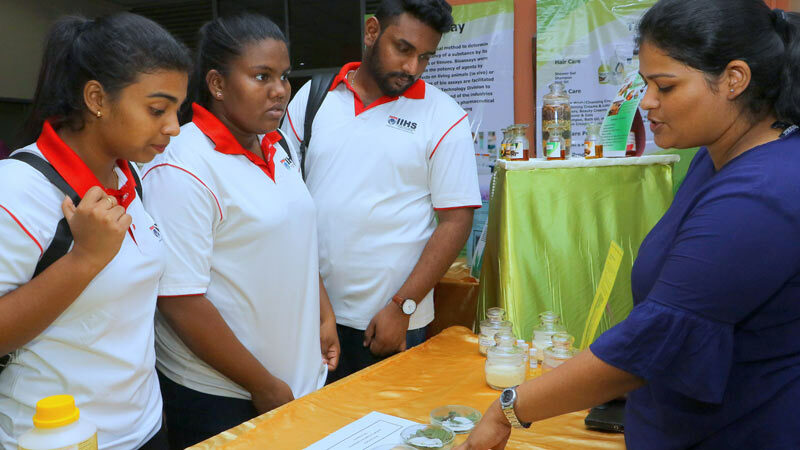 Students of the IIT and the Kalutara College of Education view some of the exhibits on display. Pictures by Saman Sri Wedage. 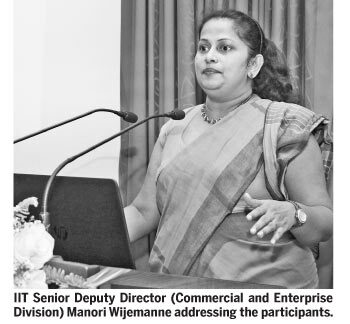 The Institute of Industrial Technology (IIT) will showcases the results of its creations and research work to impart the necessary technological knowledge to the people engaged in the sector, Senior Deputy Director of the Institute’s Commercial and Enterprise Division Manori Wijemanne said at the public day programme held at the Institute yesterday. Wijemanne said public awareness programmes were carried out by the Institute on the research work done by the institute including their outcome and technological services. Steps had been made to impart this knowledge to undergrads, too. The Institute had the capacity to impart technology needed to start small and medium scale industries including the standards that they should achieve. At present, the Institute is involved in monitoring air quality in various areas using its air quality mobile station. The Institute imparted knowledge on minimizing air pollution as well. An exhibition organised by the Institute of Industrial Technology was held at the Institution in Colombo 7 on March 19.